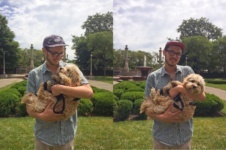 We love our walkers at Windy City Paws, and this month we want to introduce you to Gary F! Gary first joined the WCP team as a dog walker in November 2013, and he then went on to become our Walker Manager in May 2016! 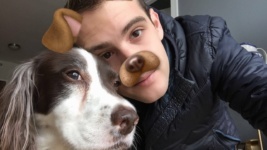 Gary decided to return to his dog walking roots with our company in December 2017, and we are so proud of his many accomplishments during his time with us! Let’s learn more about Gary! I’m originally from Santa Barbara, CA. I moved here pretty soon after college to pursue acting and improv because I think LA is kind of gross. In my limited free time, I like to play video games or re-watch the first season of Westworld so I can wildly theorize about what’s next. I don’t think I have any truly hidden talents; I think all talents should be marketed and capitalized upon. But the one that surprises people most is that I play a pretty mean harmonica. YES. Kind of. 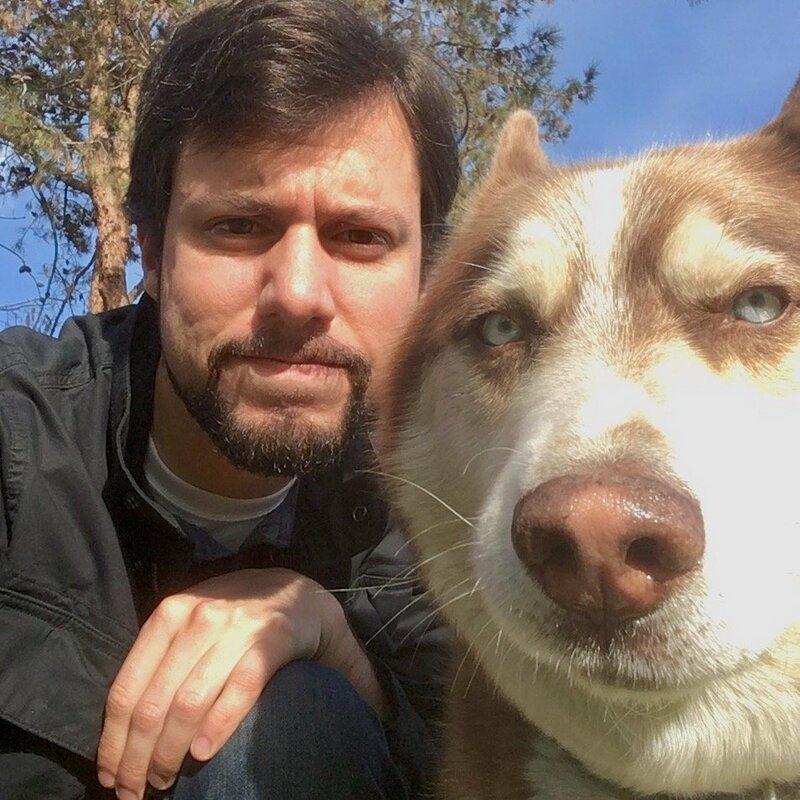 My boy Yukon is a Siberian Husky who lives back in CA. He likes to pretend he’s mad at me when I see him (after his initial excitement) because he’s jealous that I spend so much time in the snow and he’s never seen it. I would probably be a Greyhound. I worked really hard for about two years of my life and am now totally burnt out and just want to sleep most of the time. Definitely a Pit Bull. Nobody messes with a Pit Bull, and all they really want to do is love up on everyone. Like most of my colleagues, I can’t have a dog of my own (I can barely take care of myself), so dog walking was the perfect way to surround myself with canine companionship on an incredibly daily basis. You definitely get a bit of a weird feeling sometimes when you’re on a quiet street walking around with keys to a dozen houses jingling around making a racket. If you time your steps just right, it feels like walking around with spurs on. Which is awesome. I think people really underestimate how much time I spend with my hand inside of a dog’s mouth. Whether that’s because they’re chewing on me for fun or I’m pulling something they shouldn’t have out of their mouth, I think I have a permanent coating of saliva on my hand. It’s so topical right now: I can’t stand it when the snow melts and you see just how many people don’t pick up after their dog. Just because something is technically biodegradable doesn’t mean I want to look at it every day until it biodegrades. The weather, obviously. Kidding aside, it’s definitely getting to know all the personalities, quirks, and even issues of the dogs without them being able to directly communicate in an understandable way. They’re like kids, but when they act out, you need to really try to figure out what’s up and what you can do to help; you can’t just sit them down in front of the TV and put on Moana until they get it together (the first reprise of How Far I’ll Go, by the way). Thank you so much for all of your hard work, Gary! If you would like to learn more about Gary and our other fantastic dog walkers, visit our website!